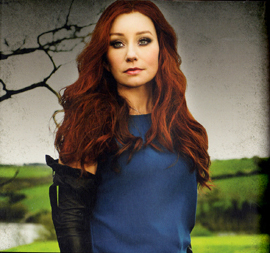 Tori Amos’ 12th studio album, Night of Hunters, is a 21st century song cycle based on classical themes spanning over 400 years. More accurately, they’re variations on a theme: Tori took some elements from the original pieces and expanded them to turn them into whole new tracks. Variations on a theme are not merely covers but an important part of classical music demanding great compositional skills ; the great masters themselves created such pieces inspired by the music of other artists. The renowned German classical label Deutsche Grammophon needed to have such song cycles done and contacted Tori after the end of her contract with Universal Republic in 2010. When she asked the label’s doctor of musicology Alexander Buhr —who’s also executive producer on the album — why they thought about her, he answered, “Because I’ve been studying your work for a long time, and I hear the classical influence, and you’re ready to take the next step and really embrace this world. ” Tori was of course thrilled by the challenge, but also a bit scared. “I said, ‘If I get it really wrong, it’s bad on so many levels, I’d rather poop on my Manolos in public than screw up Schubert,’” she told Billboard. “When you start using things from the masters, you have to approach it with a delicate ruthlessness. Because if you’re intimidated by it, you shouldn’t be doing it, and if you don’t understand why the structures are working, and build a sonic cathedral, you don’t take a song cycle on.” With this in mind, she began to work on what would become Night of Hunters and asked Buhr to send her tons of classical pieces she might not know and that could be inspirational. She didn’t want to work on pieces she had studied during her youth at the Peabody Conservatory or that she would knew a bit too well. 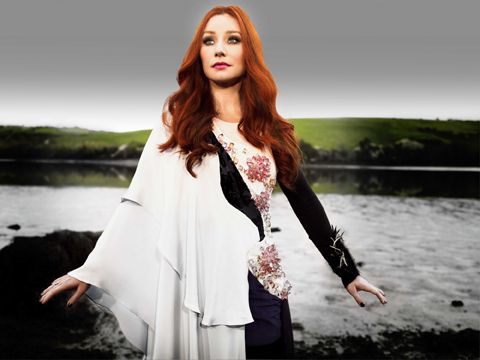 Finally, she settled on music from composers such as Granados, Satie, Chopin, Schubert, Bach, Schubert or Debussy and decided to tell the self-discovery journey of a woman inspired by Celtic mythology. In the story, the couple travels “from the New World to the Old World” in a little sailsboat but at sundown, a shattering of the relationship occurs for an unknown reason, the man leaves and the protagonist tries to understand what happened. She soon meets Anabelle, a shape-shifting creature able to take the form of a fox or a goose, who helps her investigate her feelings and guides her through the night to prepare her for a much larger fight: saving the children’s dreams that are threatened by ‘hunters’, hence the title of the album, which is of course a clear reference to the movie Night of the Hunter by Charles Laughton. Tori’s daughter, Natashya Hawley, 11 years old, plays the part of Anabelle and sings four songs with her mother, while Kelsey Dobyns, the singer’s 19-year-old niece, plays the Fire Muse on the title track. Both of them already sang on Midwinter Graces, Tori’s first seasonal record. Night of Hunters is a complex 14-track album with gorgeous and intricate arrangements for octet. This is Tori’s first album without any drums, bass or guitar but instead we get to hear strings and woodwinds on all of the tracks. The singer worked with classical artists, including the young and already quite renowned Apollon Musagète Quartet, a group of four Polish string players. Based on classical themes, the album is not, however, a pure classical record: it’s a subtle mix of classical and pop that you would have a hard time to pigeon-hole in a single definite category, like most of Tori’s work. From the thundering piano of “Shattering Sea” to more lush or subdued melodies, Night of Hunters is both complex and haunting and very cohesive as a whole, even though you can also listen to the songs individually.